August 1914. When war in Europe is declared, a young American cartographer, Michael Clifton, is compelled to fight for his father’s native country, and sets sail for England to serve in the British Army. Three years later, he is listed as missing in action.April 1932. 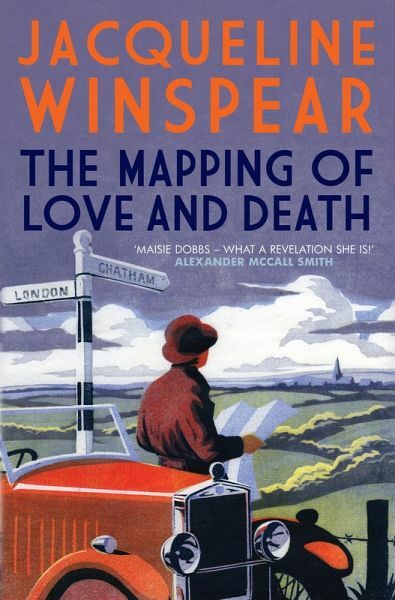 After Michael’s remains are unearthed in a French field, his devastated parents engage investigator Maisie Dobbs, hoping she can find the unnamed nurse whose love letters were among their late son’s belongings. It is a quest that leads Maisie back to her own bittersweet wartime love – and to the discovery that Michael Clifton may not have died in combat. Suddenly an exposed web of intrigue and violence threatens to ensnare the dead soldier’s family and even Maisie herself as she attempts to cope with the impending loss of her mentor and the unsettling awareness that she is once again falling in love. Jacqueline Winspear is the author of the New York Times bestselling series featuring Maisie Dobbs. She has won numerous awards for her work, including the Agatha, Alex and Macavity awards for the first book in the series, Maisie Dobbs, which was also nominated for the Edgar Award for Best Novel. Originally from Britain, Jacqueline now lives in the United States.